This salad is refreshing, nutritious and incredibly delicious. It’s really easy and it takes around 20 minutes to prepare, including cooking time. You can have it as a salad or a light meal. Wash the quinoa thoroughly and cook it for 15 minutes. 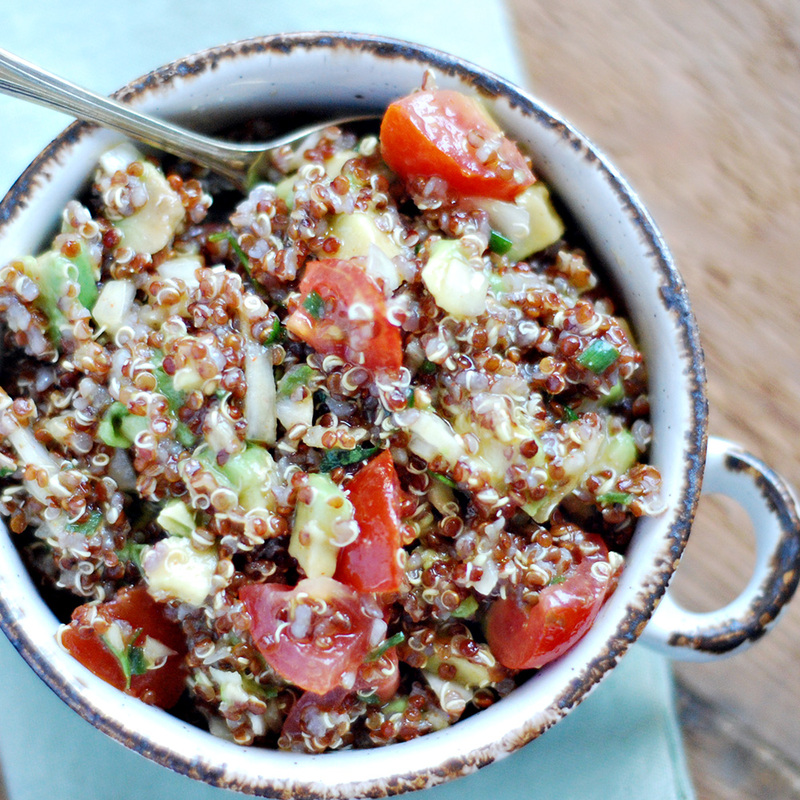 Combine all the ingredients apart from the quinoa. Add the quinoa and mix it well. Take it to the fridge for 30 minutes before serving.